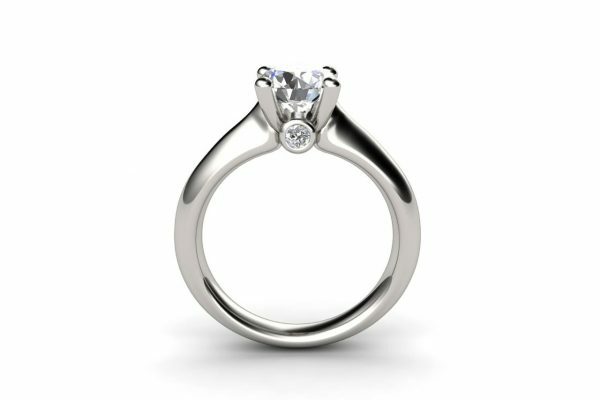 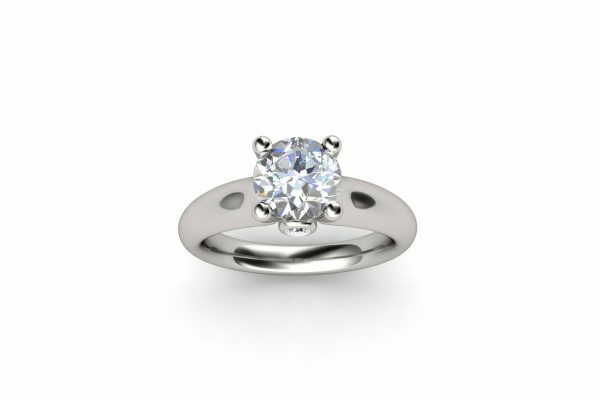 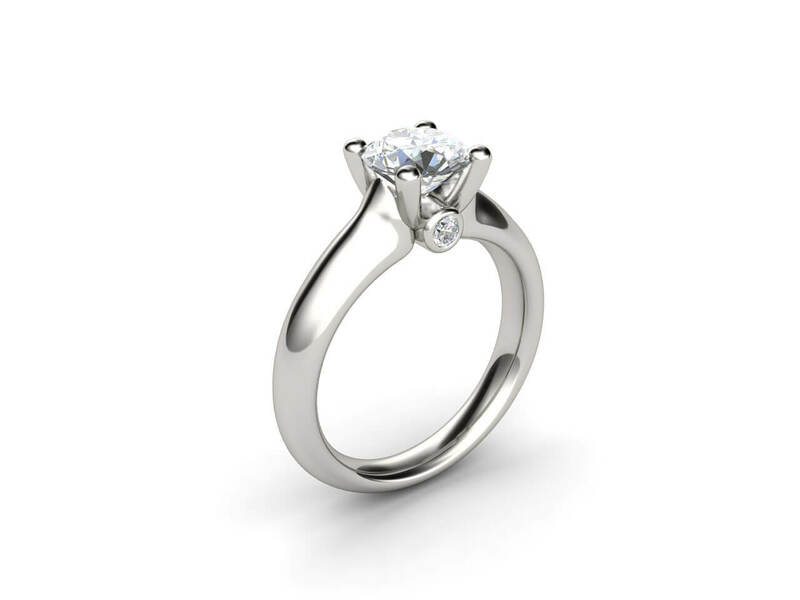 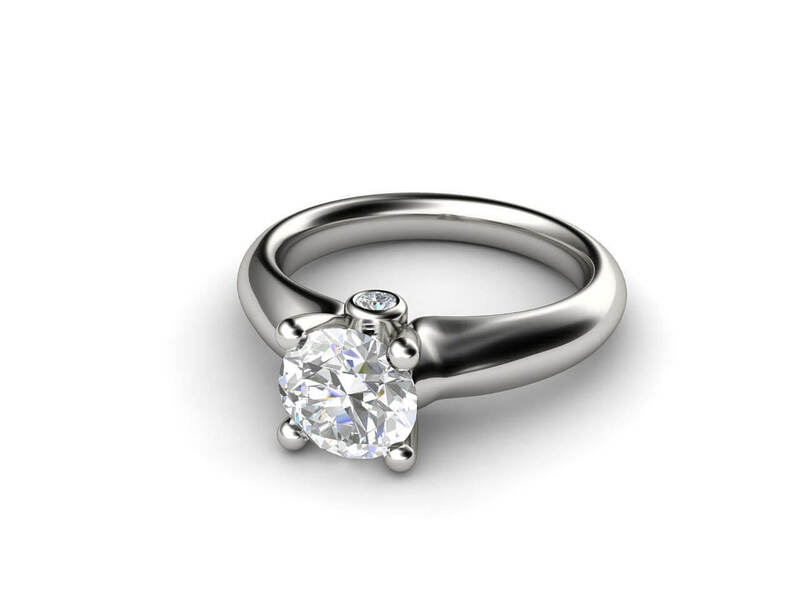 A striking and original solitaire diamond engagement ring by Joseph George. 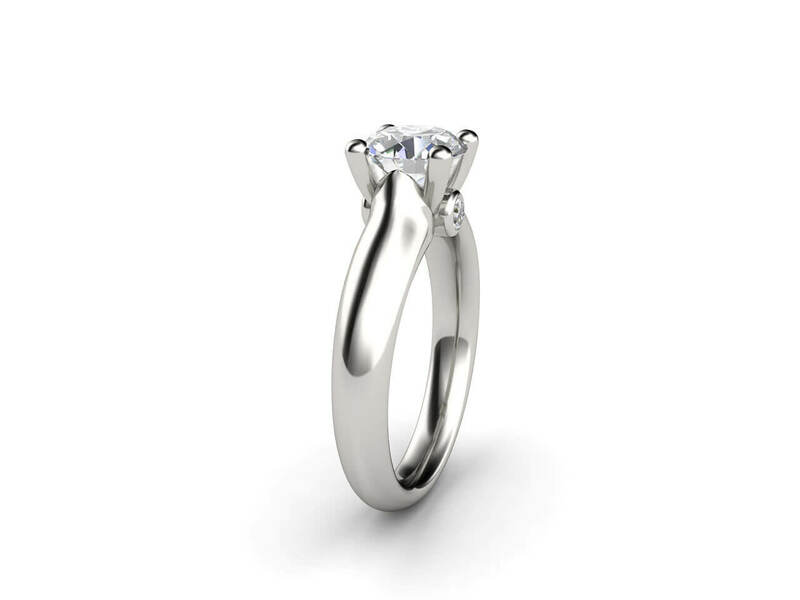 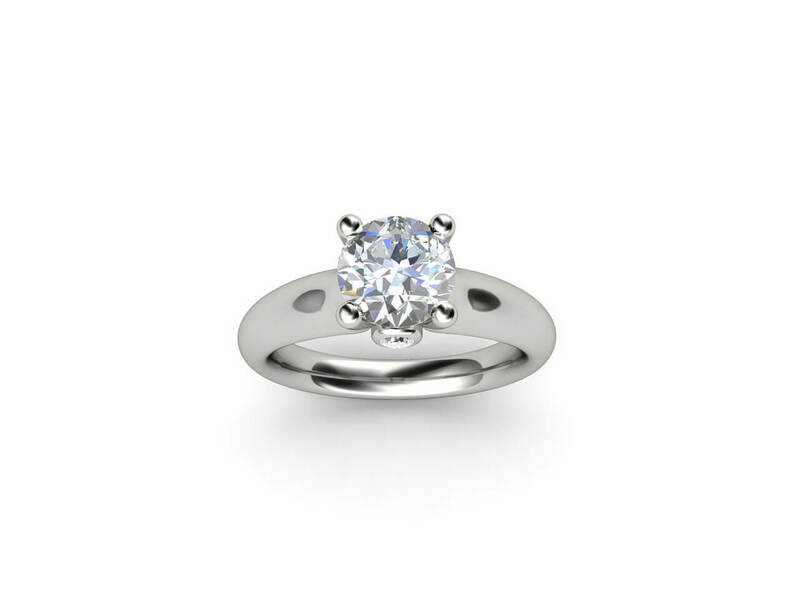 This solitaire engagement ring is made contemporary by its elite craftsmanship. The bright white diamond and seamless white gold or platinum band form a definitive design, completed with two diamonds embedded below the claw.